The normal aging process is characterized by a progression of physiologic events that occur throughout the life cycle. Changes associated with aging occur throughout the body and are most prominent in the later years. Changes in the musculoskeletal system begin to occur after the third decade and continue into the eighth and ninth decades. The frailty syndrome can be described as a culmination of the effects of these changes on the human body. • Herb is an 86-year-old retired attorney residing with his wife in their home. He has a medical history significant for mild hypertension and degenerative joint disease with severe kyphosis of the thoracic spine. He underwent a right hip hemiarthroplasty at the age of 80 and continued to remain mobile and physically active postoperatively. Recently, as a result of the progression of kyphosis, he can’t hold his head upright and walks with a severe forward-stooped posture. This posture significantly has shifted his center of gravity anteriorly, resulting in two to three falls per day while ambulating. He has difficulty in rising unassisted from a seated position and has become more sedentary. • Betty is a 78-year-old retired teacher. She lives in her apartment in the community with a home health aide who spends several hours per day assisting her with shopping and household chores. She’s independent in her activities of daily living. Her medical history is significant for insulin-dependent diabetes mellitus, hyperlipidemia, hypertension, and cataracts. She also suffers from chronic pain due to severe bilateral knee osteoarthritis, which greatly limits her mobility and keeps her sedentary much of the day. Although she has no recent fall history, she describes herself as feeling weak and fatiguing easily. • Rita is a 96-year-old widow who resides in a nursing home. She has a medical history of dementia and was admitted to long term care three years ago. Having outlived all of her other family members, Rita lived in an apartment in the community, where she was found to have poor hygiene and was wandering frequently, often becoming lost. Her stay in long-term care has been unremarkable, and she receives assistance with her activities of daily living. She has a hearty appetite, attends activities, and continues to wander through the hallways of the nursing facility. Although these three individuals present quite differently, most clinicians likely would agree that both Herb and Betty would be considered to manifest frailty. Physical limitations due to severe kyphosis and frequent daily falls would cause most clinicians to label Herb as frail. Betty’s clinical picture that includes multiple comorbidities and a limited level of physical activity also would be consistent with frailty. However, most clinicians wouldn’t consider Rita as manifesting the frailty syndrome. Although she’s 96 years old, cognitively impaired, and living in long term care, her level of physical activity, as indicated by her frequent wandering, would be less consistent with a frailty diagnosis. • low physical activity, as scored using a standardized assessment questionnaire. Nutrition is an important component to consider in the evaluation of frailty. Physicians should assess and evaluate nutritional status and, with input from dietitians and other members of the health care team, discuss nutrition concerns with family members and other caregivers. Weight should be measured at each visit to identify unintended or unexplained weight changes. Many factors contribute to poor nutritional status in the elderly. Weight loss often occurs secondary to an underlying condition that may be either physical or psychological and can affect a patient’s ability to consume adequate calories or protein on a daily basis to maintain optimal functional status. For example, poor dentition can affect the ability to chew and swallow foods of a firm consistency. Patients with diabetes may have delayed gastric emptying, which can result in early satiety. Depression can present with poor appetite and a malnourished state. Prescribed medications can cause dysgeusia, an alteration in the perceived taste of foods, resulting in anorexia and weight loss. Physicians need to periodically monitor diagnostic lab tests, including blood chemistries. These tests can be used to determine electrolyte imbalances, macro- or micronutrient deficiencies, and anemia. In particular, vitamin D levels should be checked and supplemented if they’re low because of vitamin D’s role in calcium absorption and its important aspect in the prevention and treatment of osteoporosis and overall bone health. Primary care physicians, dietitians, and other health care providers should be aware of physical limitations that may impede food purchasing and preparation. In these situations, a referral to community-based programs that may provide meals at senior centers or deliver meals to homebound elders should be considered. Another factor contributing to frailty may be dysphagia, the inability to adequately and safely chew and swallow.7 Nutrition interventions to ease chewing and swallowing difficulties include mechanically altering the consistency of food and/or liquids. Other nutritional recommendations that are appropriate for frail elders may include smaller more frequent meals, supplementation use, and referrals to speech pathologists, occupational therapists, and dietitians. Supplementation can play a major role in positively impacting the nutritional status of a frail individual, particularly when diet alone fails to meet daily dietary needs. Specific indications for the use of supplements may include difficulty chewing or swallowing, unintended weight loss, protein/calorie malnutrition, or increased calorie needs secondary to a hypermetabolic state. Contraindications for supplementation may include unintended weight gain, renal conditions, and nutrient-drug interactions. Once the frailty syndrome is recognized, the next step is treatment. The key in treating frailty lies in targeting the conditions associated with it. Developing appropriate interventions is an important multifaceted process. As previously mentioned, frailty isn’t defined by medical diagnoses. Nevertheless, common chronic comorbidities have been noted with higher prevalence in this population. Evidence-based medication management of congestive heart failure results in better outcomes, fewer exacerbations, and an overall improvement in physical function and quality of life. Optimized management of chronic pulmonary disease as well as improved glycemic control of diabetes results in improved health status, fewer hospitalizations, and reductions in the physical declines associated with the frailty syndrome. Consistent with the fundamentals of geriatric medicine, physicians should perform a thorough medication review during periodic office visits to inventory all medications, including prescription and over-the-counter medications. Unrecognized drug side effects as well as drug-drug interactions can cause unexpected adverse effects that can predispose patients to weakness, slowness (both physical and mental), and falls. Frequent medication review can identify opportunities for medication reduction and avoid polypharmacy. With the significant growth of the over-80 population and the increase in average life expectancy, health care practitioners no doubt will encounter a rise in the prevalence of the frailty syndrome. Many of the predisposing factors of frailty occur as a result of the aging process. Most practitioners generally identify frail elders superficially by the “you know it when you see it” test. However, early recognition and assessment of the identified standardized criteria for the diagnosis of the frailty syndrome is an important first step that will guide the appropriate treatment interventions and improve outcomes. Helping older adults attain and maintain their highest level of function is the goal of optimal care. — Zachary J. Palace, MD, CMD, is a board-certified geriatrician and the medical director, and Jennifer Flood-Sukhdeo, MS, RD, CDN, is a clinical dietitian and the director of nutrition at The Hebrew Home at Riverdale in New York. 1. Dharmarajan TS, Norman RA (eds). Clinical Geriatrics. New York, NY: CRC Press; 2002. 2. Ham RJ, Sloane PD, Warshaw GA, Bernard MA, Flaherty E. Primary Care Geriatrics: A Case-Based Approach. 5th ed. Philadelphia, PA: Mosby; 2006. 3. Fried LP, Tangen CM, Walston J, et al. Frailty in older adults: evidence for a phenotype. J Gerontol A Biol Sci Med Sci. 2001;56(3):M146-156. 4. Blaum CS, Xue QL, Michelon E, Semba RD, Fried LP. The association between obesity and the frailty syndrome in older women: the Women’s Health and Aging Studies. J Am Geriatr Soc. 2005;53(6):927-934. 5. Ahmed N, Mandel R, Fain M. Frailty: an emerging geriatric syndrome. Am J Med. 2007;120(9):748-753. 6. Dorner B, Posthauer ME, Thomas D; National Pressure Ulcer Advisory Panel. The role of nutrition in pressure ulcer prevention and treatment: National Pressure Ulcer Advisory Panel white paper. Adv Skin Wound Care. 2009;22(5):212-221. 7. National Dysphagia Diet Task Force. 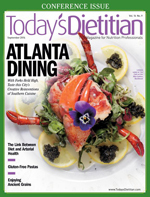 National Dysphagia Diet: Standardization for Optimal Care. Chicago, IL: American Dietetic Association; 2002: 43. 8. Fiatarone MA, O’Neill EF, Ryan ND, et al. Exercise training and nutritional supplementation for physical frailty in very elderly people. N Engl J Med. 1994;330(25):1769-1775. 9. Wolf SL, Barnhart HX, Kutner NG, et al. Reducing frailty and falls in older persons: an investigation of tai chi and computerized balance training. J Am Geriatr Soc. 2003;51(12):1794-1803.